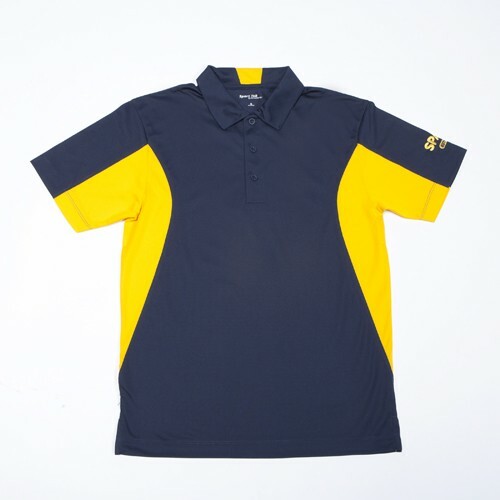 Sporty polo shirt with moisture wicking performance material which is snag resistant. True navy with gold accents SPAM® Brand EST. 1937 logo embroidered in gold on left sleeve. Available in men's sizes S-3XL. Also see G6527 for ladies companion piece.